Cardiac Event Monitoring companies provide various forms of long term cardiac monitoring generally used when findings from traditional ECG & 24 hour Holter Monitoring are not sufficient in prognostic value. All ECG information is required to be monitored & reviewed by the Cardiac Event Monitoring company 24 hours a day, 7 days a week, 365 days a year. Much like Mobile Cardiac Telemetry (MCT), many of the Cardiac Event Monitoring companies listed below offer a variety of revenue models depending on whether you purchase the monitors or contract with Cardiac Event Monitoring Service Companies. Braemar has been developing and manufacturing a variety of cardiac event monitors for 2 decades. Braemar is well known as an OEM company making cardiac event monitors for many companies in the industry. Braemar is now a wholly owned subsidiary of Biotelemetry (CardioNet). CardioNet Inc. is a U.S leading provider of ambulatory cardiac monitoring products and services including Cardiac Event Monitoring. CardioNet is a publicly traded company demonstrating significant growth with the acquisitions of Braemar, Mednet Health Technology & Biomedical Systems Service division. Lifewatch is the second largest Cardiac Event Monitoring service company in the United States. Lifewatch is known to provide reliable service in particular with their Cardiac Event Monitoring services. Mednet has been a significant player in the Cardiac Event Monitoring space as they are the leading OEM company that provides Cardiac Event Monitors to other service and reseller organizations. Mednet has made recent headlines as they were acquired by industry leader CardioNet. NorthEast Monitoring is a Cardiac Event Monitoring company located in New England. NorthEast Monitoring offers sales and service for their Cardiac Event Monitoring devices. After the acquisition of eCardio, Preventice is one of the largest cardiac event monitoring service companies in the US. Preventice offers cardiac event monitoring services with their proprietary BodyGuardian Remote Cardiac Monitoring System in the form of a peel & stick patch sensor. QRS Diagnostic is a name many are not familiar with in the field of Holter Monitoring. QRS may not carry many of the bragging rights of some of the Holter Monitoring companies but they offer sound technology with their new model devices. 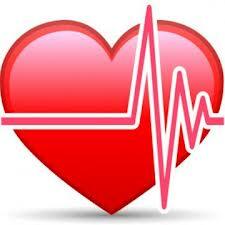 Scottcare offers Cardiac Event Monitoring services to compliment their other cardiac telemetry products. Scottcare also dabbles in the OEM market with some small resellers and service companies using their event monitoring device.